After waiting 46 days for my device (!!! ), it finally arrived. Woohoo! Except for one small problem: The MK902 was D.O.A. That is, the unit wouldn't turn on or anything. Didn't I feel great after waiting for so long. 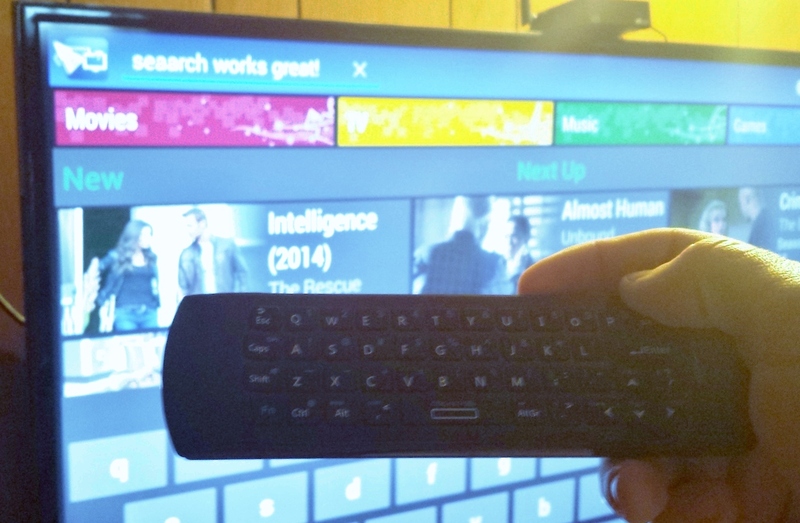 The remote, on the other hand; worked great! I plugged it into my PC to try it out, and it was excellent. The design makes it quite comfortable, and it's heavy enough to not feel like a piece of junk (it only cost $29 if I remember correctly). The AirMouse functions much like a Wii Remote, but in my opinion, easier to aim, with smoother movement than a Wii Remote. 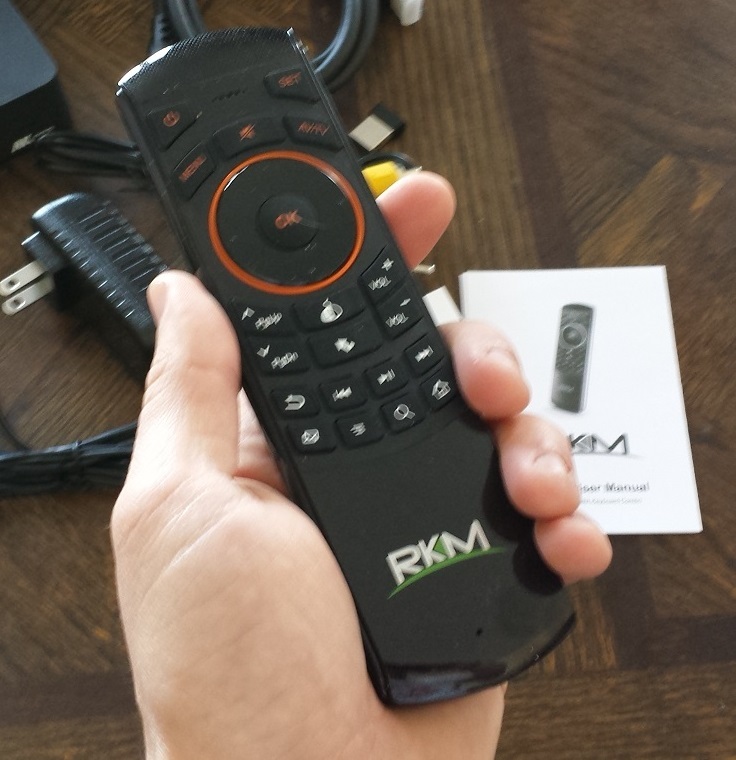 The remote control functions work great as well. It has a decent amount of programmable buttons on it, which can be accomplished by simply holding the set button and then teaching the remote using an existing remote, much like you do with most programmable remote controls. Flip the control over, and you have a full QWERTY keyboard including arrow buttons (which are handy for navigating the Android MB App). After many, many emails back and fourth with the supplier I bought my MK902 from, I eventually convinced them to ship me another unit with DHL Express, and I received my replacement unit about a week later (Why they couldn't ship that way from the beginning, I'll never know). And this one WORKS!! I plug the unit into my TV, and it boots up in no time. After doing some research, I managed to find and install a custom ROM which allows for 1080p playback, which is a plus, since I'm using the device on a 50" Samsung LED TV, and 720p just wasn't cutting it (I'm used to the 65" Panasonic in the living room, which has an amazing 1080p picture). 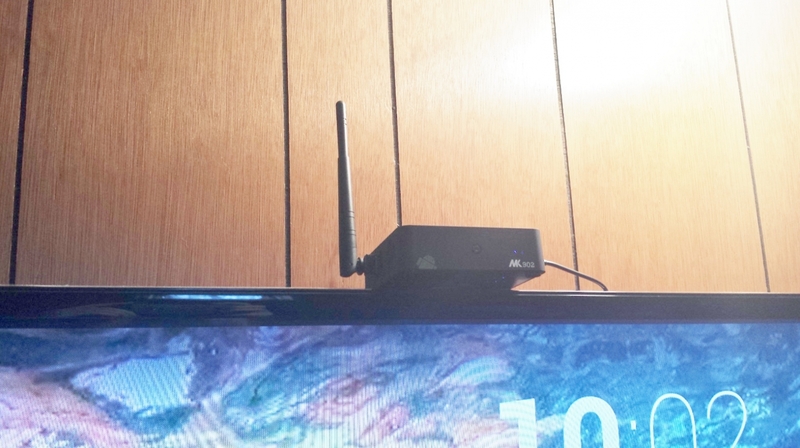 As far as WIFI signal quality goes, I'd say the antenna on this unit works great. It's located in a bedroom in the basement in the North-west corner of the house, and the router is in the South-West corner of the upper-floor, and I'm getting full signal according to the little WiFi icon in my settings menu. I've played a few games, and emulators and what-not on the device, and it seems to be very snappy, so I'm very impressed with the performance of this little box so far. It even has a built in (low quality) camera, in case you're interested in Skype or anything like that. 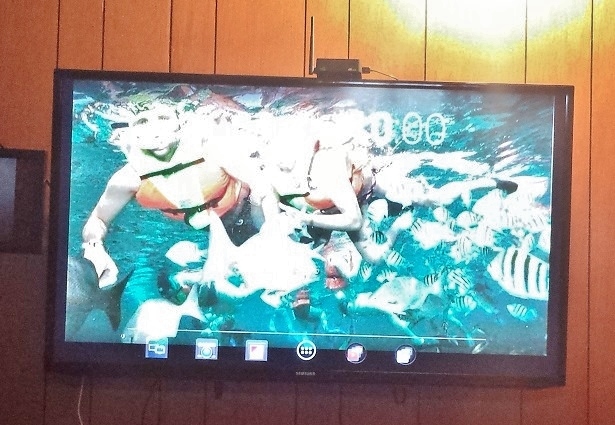 I found that no matter how I set up transoding, I wasn't impressed with the quality on my 50" LED TV, so initially I started using the "Remote Play" function to send it to my TV using DLNA, which gave me full quality video (Although, I wasn't able to send 1080p video without an excessive amount of buffering, which made the video unwatchable). 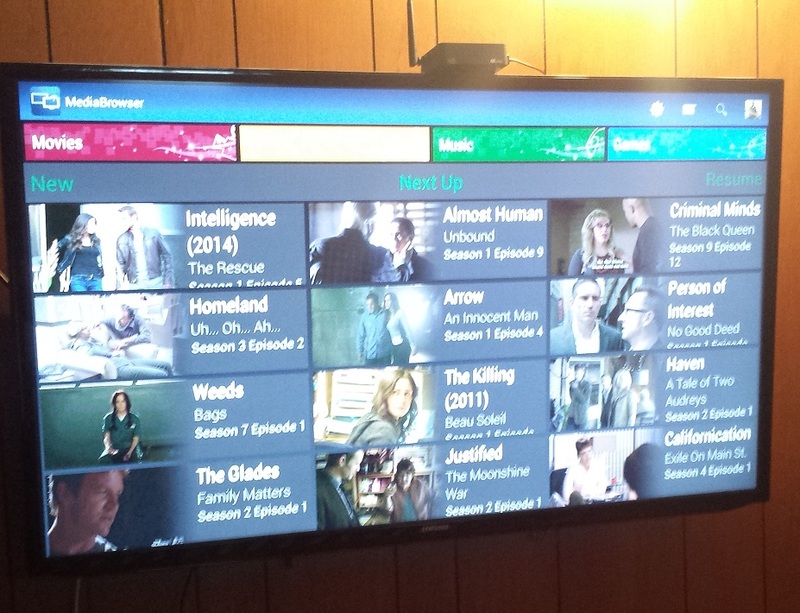 And the fact that I have no REW/FF capabilities on my TV with the current DLNA service. Also, I'm not sure what's causing it, but I've noticed when using DLNA, the video seems to end prematurely for some reason (not sure exactly how early, but seems like it could be as much as 30 seconds or more). So far, what I've found to be the best playback method for me is to use an external player. In my case I've found MX Player to work the best, and it gives me on-screen controls for REW/FF, etc. (A little annoying that I need to use the AirMouse, and not the playback controls on the remote) but I'm sure this kind of thing will get figured out eventually. Unfortunately, installing the custom ROM was a bit of a waste of time, because I can't seem to play back 1080p video with either method with a decent loading time, so for now, I can only watch 720p video with the device anyway. I will eventually run an Ethernet cable to the device directly from my modem, and see if this helps at all. All-in-all, I'm very satisfied with this device. 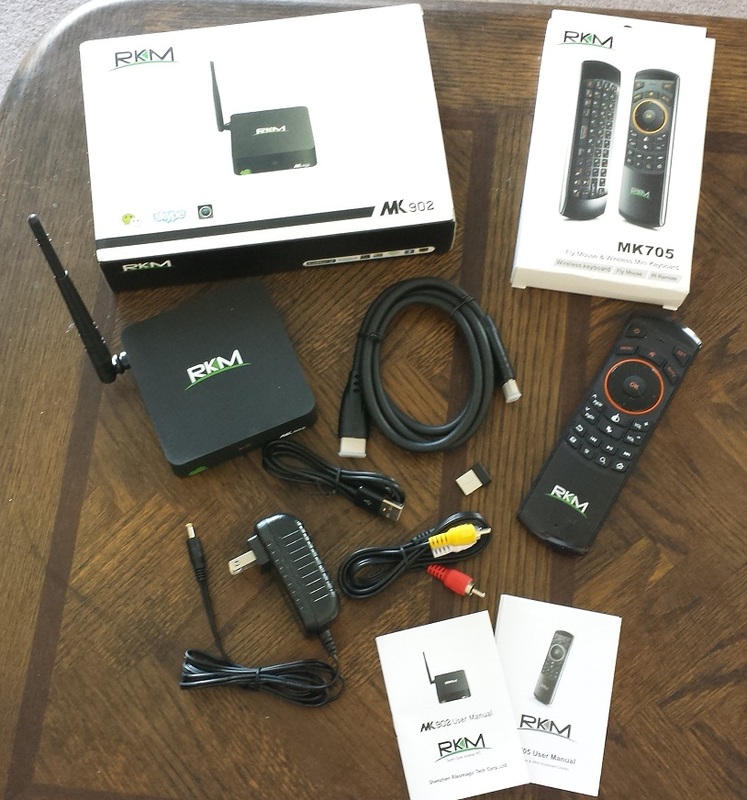 For $140CDN (including the remote) I think it's a great deal. 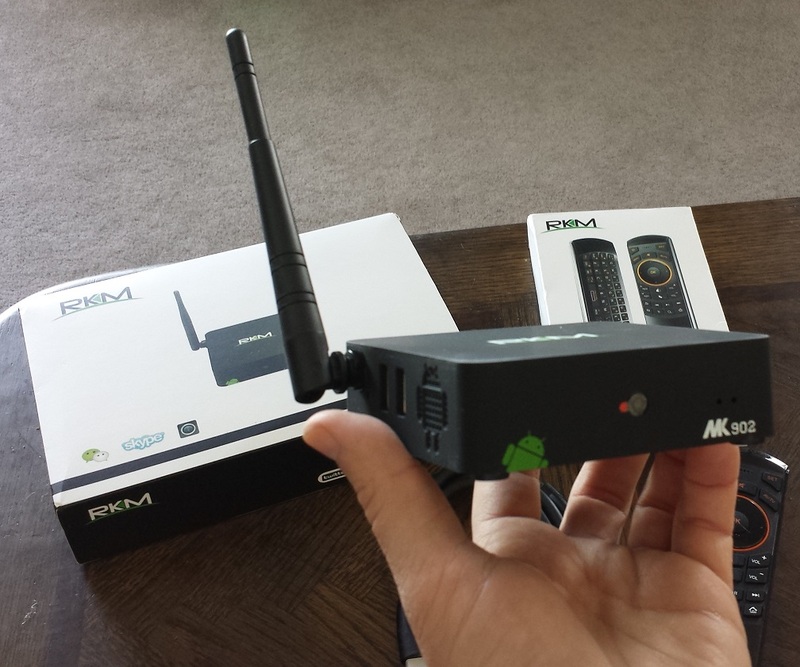 Especially for someone that doesn't own a smart TV, since this adds full internet functionality to you television. That combined with the plethora of games and apps available in the Android Market, it's a really fun device, with great performance to boot. Once the 10' UI Android app is released, it'll be even better. I just hope I can get 1080p playback sorted out, I don't think it's the device itself, I think the problem is in my current setup. Feel free to let me know if anyone has any questions regarding the device! Edited by pmac, 04 May 2014 - 01:20 AM. Edited by CBers, 15 April 2014 - 03:37 PM. Thanks @CBers, I definitely agree with you on the 10'UI. A similar experience to that of MBT would be awesome! I forgot to mention that the MK702 also has some sort of voice control feature that I've yet to figure out how to use. Nice thread. 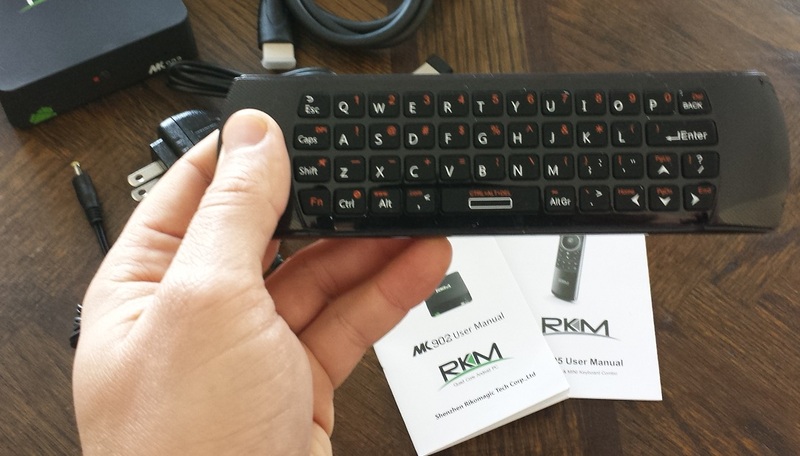 I can't wait till users of these types of devices have an MB UI that's tailored to the living room. That first view of my client is fugly. Too cramped. no timeframe, but hopefully in the near future. 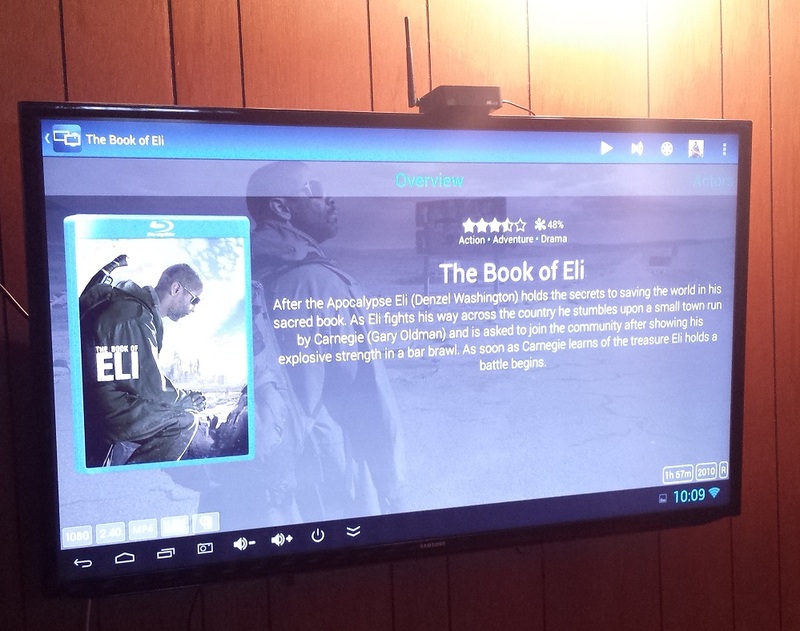 and you get a full android opsys with much more than just media playback. Don't get me wrong cc is cool but it is not the same thing as a mini pc. I've never used a Chrome cast, but from my understanding, they essentially just give you the same effect as playing over DLNA, minus the ability for direct stream, correct? ie. 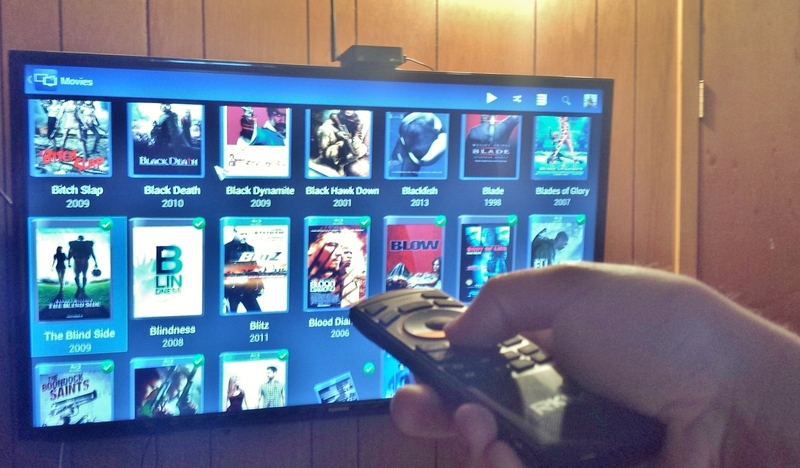 Use one device to select media and send it to CC, which plays it on TV? If that's correct, it's a nice option for users without DLNA capabilities, but still doesn't give the users a nice user interface on their set, or all the other advantages to a Mini-PC. @Tikuf, I'm curious to know what you have your playback settings set at on your 802? My devices can have some issues decoding stuff that is higher than baseline 3.1 @1080p. I have finless beta 2 rom (kitkat) (which you can set at 1080p) but I run it at 720p. Not sure if it would work on your device or not > http://www.freaktab....P6210-wifi-BETA. I use them mainly for the kids so they work ok. I've got one of the AMLogic S802 devices coming, so looking forward to trying out the current Android MB3 app on that bad boy (once they sort the inability to install paid apps in the initial ROM). Many thanks PMAC for your review. - do you think it's possible to install a "videosurveillance" app (i.e. https://play.google....?id=air.icamspy) and use it through this mini-pc? - I'd like to limit as much as possible the use of wireless communciations in my house; does the MK902 have an on/off control for wireless functionality?